Legend has it that, during the sixth century AD, an Ethiopian goatherder named Kaldi discovered the effects of coffee on his goats. One day, while herding his goats, he found them prancing around after feasting on ripe, red cherries from a tree that grew on the mountainside. He chewed some himself and noticed their stimulating effects. It didn't take long for his discovery to spread around the world. 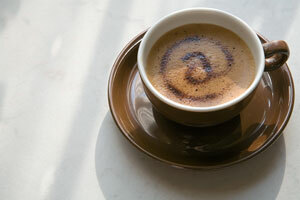 Today, gourmet coffee has become more popular than ever. We have access to coffee from many regions of the world in a variety of flavors, from blueberry to coconut and from hazelnut to pecan. Most of these coffees contain premium Arabica coffee beans, but many coffee blends include low-cost Robusta beans as well. Coffee is available in both caffeinated and decaffeinated varieties, and a cup of java can be enjoyed at any time of the day. Coffee just isn't for breakfast anymore! Reuters. Monday, 22 Apr 2019 13:18:13 -0400. It will fill a 2,413-square-foot building that was built in 1952, according to a sales flyer. Mark Anderson. American City Business Journals. Monday, 22 Apr 2019 13:57:54 +0000. As the popularity of specialty coffee continues to grow, so does the number of specialty coffee roasters. WholesaleCoffee.us lists selected coffee roasters and coffee service companies who sell large quantities of coffee beans, as well as ground coffee, to restaurants, coffee shops, gourmet stores, coffee programs, and institutions. While these coffee suppliers primarily serve the wholesale market, some of them do service the home market as well. What are the benefits of buying coffee from a wholesale coffee supplier? Well, if you really love coffee, buying from a wholesale coffee supplier gives you access to the best quality product. You have more coffee type and flavor choices, and you can buy your coffee in greater amounts. In most cases, buying larger amounts of coffee from a coffee wholesale supplier means you'll pay less for a better product. Buying coffee from a wholesale coffee supplier means that you'll also be able to try flavors and types of coffee that most likely are not available at your average grocery store. 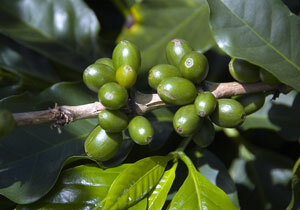 Some of these coffees are featured in The Coffee Review, a popular coffee buying guide. Buying coffee from a wholesale coffee supplier also gives the coffee lover access to the best and most recent accessories. For instance, many wholesalers offer commercial quality coffee grinders and roasters as well as coffeemakers and espresso machines. Some coffee distributors also carry espresso bar items such as coffee tampers and steaming pitchers. Quality Rockville, Maryland coffee roaster offers a comprehensive wholesale program for restaurants, coffee bars, cafes, and specialty stores. Colorado based Whole Foods Market partner offers handcrafted organic and traditionally grown coffees. Fine coffee, equipment, and training for coffee shops, restaurants, and specialty grocers. Offers fresh, delicious coffee roasted in vintage German roasters. Innovative supplier of gourmet wholesale coffee for large scale coffee users, such as restaurants, coffee shops, and markets. This coffee buying guide conducts blind, expert cuppings of coffees and reports its findings in the form of 100-point reviews. Shop for coffee gifts from retail coffee shops.